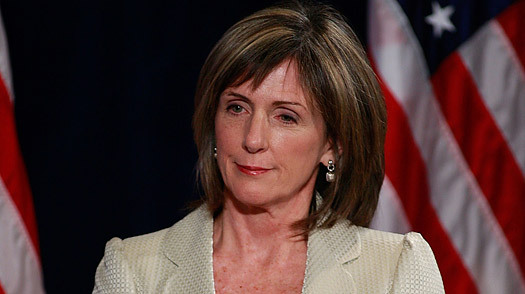 As Environmental Protection Agency (EPA) head from 1993 to 2001, Carol Browner was perhaps "the greatest administrator [the] EPA has ever had," according to Bill Clinton's former chief of staff (and Barack Obama's current transition co-manager) John Podesta. She brings to the role of energy "czarina" a hefty amount of experience in environmental policy-making and consulting. What appears to be causing more speculation regarding her appointment is what exactly her newly created position, officially titled Energy Coordinator, will entail. "Carol understands that our efforts to create jobs, achieve energy security and combat climate change demand integration among different agencies, cooperation between federal, state and local governments and partnership with the private sector," President-elect Obama said at a press conference to announce her nomination. Browner, herself a member of Obama's transition board, mentioned earlier this month that the new position would not change the duties of the Secretaries of Energy and Interior or the Environmental Protection Agency administrator. Her role seems to be that of an overseer, promoting smooth cooperation among the different energy and climate entities.  Born in Miami in 1955 to two professor parents, Browner grew up hiking in Florida's Everglades and credits that experience with helping her develop a close connection to the natural world.  Received a B.A. in English and a law degree from the University of Florida in Gainesville.  She is married to Thomas Downey, a former Democratic congressman from New York; she has one son from a previous marriage. Downey is chairman of a lobbying firm with dozens of clients, which until Dec. 12 included several with interests in energy policy, according to the company COO.  She was named "Mother of the Year" in April 1997 by the National Mother's Day Committee for her dedication to providing "children with a safer, healthier world." She was also named Glamour magazine's Woman of the Year in 1998.  Out of college, Browner became an aide in the Florida house of representatives, but left for Washington D.C. a few years later to work for Citizen Action, a grassroots organization that lobbies for a variety of issues, including the environment.  From 1989 to 1991 she served as Senator Al Gore's senior legislative aide before heading up the Department of Environmental Regulation in Florida. Her greatest achievement: settling a lawsuit the government had brought against Florida for environmental damage done to Everglades National Park and launching the largest ecological restoration project ever attempted in the U.S., to purify and restore the natural flow of water to the Everglades.  After being appointed EPA administrator in 1993, she put forward a plan to improve the agency's decision making, conserve money and "restore [its] credibility."  In 1996 Browner led a campaign to have Congress reauthorize the Safe Drinking Water Act and spearheaded the Food Quality Protection Act, which modernized standards that govern pesticide use, one of the first environmental laws to specifically protect children's health.  Currently is a principal of former Secretary of State Madeleine Albright's global strategy firm, the Albright Group, working in the areas of environmental protection, climate change and energy conservation and security.  "Carol Browner's appointment as a 'climate czar' should signal to the world that the U.S. is taking a new direction on this issue."  Kathleen Rogers, environmental attorney and president of the Earth Day Network, in a statement on Dec. 15, 2008. See the April 28, 2008 cover story "How to Win the War on Global Warming." Read the April 7, 2008 cover story "The Clean Energy Myth."